Do you read ebooks? Do you buy them? Do you also buy paper books of the same thing you read electronically? Do you pay for both of these? Now, please associate those questions with my discovery of more than one ebook source that deliberately releases work for free. With the consent of the authors. Is this mad? Exploration led me to what is a longer work than I was prepared to read at the time, the Prime Palaver. This book will cost you nothing and is available in many electronic forms. It was when I wrote this; trying agin in 2018 the electronic download still worked. Why would you offer a book for free? Simply, to provide exposure; you can’t make sales if you provide nothing on which to base a purchasing decision. You might, for example, buy a magazine, read a story you enjoy and wonder whether that author has other work you’d enjoy. If so, you might well buy some of what there is available, especially if the price is attractive. But for your work to be in a magazine, someone else has already read it, edited it, formatted it for publication and so on (the publishing process)—and this work amounts to a goodly fraction of the whole cost. An author cannot make sales while unknown; you might perhaps make a purchase based on someone’s recommendation, but in a sense that requires you to commit money as a bet upon you agreeing with their judgement. Why you might offer a book for free on the internet? The reason (I’m basing a lot of my comment on Prime Palaver, which I’ll refer to as PP) is the expansion of possible audience brought by the internet. Anything I read is available to anyone prepared to read in English at the same price (zero or non-zero). The expansion of the audience more than makes up for those who thieve their copy. At some point the measures to take to guard against theft are counter-productive, eating into your (real or potential) income. Third reason: some people are sufficiently disadvantaged that they can only access reading material electronically and for free. These are not at all the same people who will (always) strive to steal work, nor are they refusing to pay as much as they are generally unable to. You might couple this with those non-customers who won’t buy any book. If they have to pay for it they won’t have it; so in a sense they were never customers. There wasn’t a sale to lose; there may be a reader / fan to gain. To some this is only loss and to some it is only gain. Make a choice. PP7 points out that theft of a ‘molecular book’ denies a sale and has direct connected losses, where theft of an electronic book does no such thing. ‘Disadvantaged’ here might be age, location or physical (medical, perhaps) incapacity. Not all of those people will remain so incapacitated. 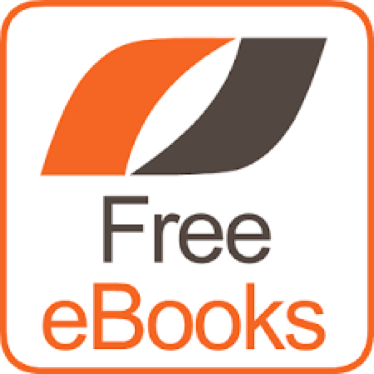 Are there other examples of free books? Well, in a sense every book you borrow from a library of from a friend is not a sale and costs you very little or nothing, none of which went to either the author or publisher, so from the originators’ point of view, this was never a lost sale. It may well result in a sale if you decide you like the work enough. There is a test here: did the ‘use’ of the material displace what would otherwise have been a sale? You may well do something similar with music acquisition. Much of the whole issue is misunderstood. I quote several accepted empirical truths (that is, they aren’t opinion, they happen). The evidence is taken from paper publishing and there is an assumption that electronic publishing will generally follow the same patterns, at least at first. 80% of sales occur in the first three months of a book first appearing. On a paper book, the author gets about 8% (quoting PP7). 500 sales a year at $7 per => $280. Is that worth bothering to write? Well, not for the income. Conversely, if 500 is your total sales after the first year, is giving away the reminder then not a sensible choice for encouraging sales of your next, new, work? If one believes the rule of thumb, then one might make one’s work free to read after three months. This is not unlike a film becoming available on television, either paid for other ways, bundled with a load of other attractions, or free. Well, that doesn’t apply to me and I’m older than most. I have paper books and they increasingly have become a millstone, an obstruction to freedom of movement. I can read paper, but I find my iPad lighter (it is no heavier), more flexible and can be read in the dark so as not to disturb others. Above all, the books I might be reading simultaneously add no extra volume or weight to what I’m carrying, so convenience, for me, over-rides any residual paper-book-reading habits. I am in the habit of reading more than hundred books a year (but fewer than four hundred); a ‘good’ holiday is often defined as more books read than days elapsed; I might read three books at the same time or a series in a run or even exhaust an author’s available canon. I have read fewer than two books per year on paper since discovering the wealth of work on ebooks, which began for me more than ten years ago, say 2003. I doubt I’ve wholly read ten paper books in any year since 2006. I recognise there is a growing body of evidence requiring ‘proper’ research that says that people retain less information taken in from a screen than they do from a book. I want to see proper evidence, not comparing desk screen with book but ebook reader with paper book. I do not recognise any difference myself—and in answer to the suggestion that there are different types of reading, say leisure and work, (and that retention in leisure is less important), I have done remote learning on a screen-based course and noticed no difference in retention over doing the same thing with paper. Let us all recognise the costs attached to publishing in any form. Someone writes some stuff; this is the author. Someone else rates it for consumption; call this the reader. Most stuff is mediocre and even the non-mediocre will not be enjoyed by all. Thus there must be a large number of (employed) readers (Editors or their proxies) who then deliver opinion on the merits of publishing. Whoever the author is, no matter how experienced, the Reader is likely to cause some rewriting. Then there is the publication preparation: this is not the trivial exercise you might think if the great work is already electronic; choice of font, pagination, footnotes, punctuation, indexing etc etc—all has cost consequence and while electronic work will not require the use of a typesetter, there are costs, and they are mostly fixed costs. Then there’s the proofreading and a cycle of error-correction. After that there is a product possibly available for sale and the publisher does some marketing; more costs. So even for an electronic book there is a bundle of fixed costs that need to be covered before what the author originally produced can turn into something the public can be permitted to read. Unless you like reading the unedited versions, of course, which you might for reasons of unwillingness to part with cash, general stinginess, acceptance of trade in standard for availability or even as a service to the author in reading the advance copy as what you might call a beta-reader. I have had and read copies where there has been dramatic failure of electronic conversion, so all quotes appear not as “Hello”, he said, but something more like %”%&hello%”%,he said%, which takes a good deal of patience or even some relearning of reading skills. Plus a load of spelling errors and noticeable logical errors. Both Eric and Ed find this works. Ed is small scale, Eric is medium to large scale. Eric takes issue at length with DRM and copyright, which I will (discover and) discuss in the next essay. I must point to Project Gutenberg (https://www.gutenberg.org, unavailable to me right now), named after the Gutenberg press, arguably the creator of mass-production methods. The project tries to make plain text versions of books available to all. Generally these will be what we might call the classics, mostly books where there is no argument that copyright has elapsed. See next essay. Just looking at SF, there are 500 titles available, nicely catalogued. I tried searching ‘Austen, Jane’ and had 699 hits before I resorted to the sub-categories, thinking to discover what of her work might be unknown to me. I have come across all six novels (a challenge for you to list ³) but none of the other works. Will habits change? I think they already are changing, not just for me. I noticed, in the time I spent teaching, that the number of readers, people choosing to read more than required to by school, was a steadily smaller number. There was a dramatic change for a generation of children who grew up with Harry Potter, but I wonder still how many of those went on to read more than the HP series. At least they learned that they could read a book and to judge the effort required against the reward achieved. I feel more strongly about the steady loss of handwriting, actually. I was heartily saddened by the ever-increasing confession by would-be undergraduates that they read magazines cursorily, thought reading was sufficed by their flitting among webpages and for whom books were a drag and strongly associated reading with having to do work they saw little point to. A sort of corollary to “Is it in the exam?” How, then, will such people acquire new knowledge? The answer may well be ‘search engines’, by which they discover (in immediate ways) answers to immediate questions. Whether any of that ever sticks is a different matter entirely. And, I note to myself several times a week, searching electronically deprives one of the serendipity of the near-miss, where for example you discover several new words (wyrds, weirds) while looking for a spelling in a dictionary. Eric Flint writes in the 1632 series about a small chunk of the US in the early 21st century dropped by chance into the Germany of the 17th century. A mere ten years later, the provision of paper encyclopaedias so essential to the development of the story line may have vanished, so that a similar transition in say 2025 would fail dramatically (in some senses) because all the essential information would be in the cloud, remotely stored and with characters who have very few acquired skills and little acquired knowledge, merely that of techniques for acquiring such material temporarily. Which makes one wonder quite where we are going. 1 If so, that might reduce the price per unit. Somehow I doubt that it would do so by much, but it might help reduce margins. No, the money sort. I can’t imagine any publisher of any stripe reducing prices because sales are good. Repackaging for more sales, yes. Recognising a market that deserves attention, only maybe. 2 And what does all of that mean? Well if, say a book is 600 ipad screens long, it might well equate to 300 pages of some standard book on paper, which in paperback would be at minimum £8 and quite possibly £12. Of this, one wonders how much goes to the author. In an electronic form the ancillary costs are not zero but they are significantly lower and you might hope that not only is the price per ‘book’ lower, but the proportion of each unit price going to the author was higher. Figures wanted. Sadly, by 2018 Ed Howdershelt is unable to produce more work. I found his site may not be supported much longer but his work is available from Amazon. 3 Austen: Sense and Sensibility, Pride and Prejudice, Mansfield Park, Emma, Northanger Abbey, Persuasion. See wikipedia.